"You are stronger than you think. Your Heavenly Father, the Lord and Master of the universe, is your Creator. When I think of it, it makes my heart leap for joy. Our spirits are eternal, and eternal spirits have immeasurable capacity! "Our Father in Heaven does not wish us to cower. He does not want us to wallow in our misery. He expects us to square our shoulders, roll up our sleeves, and overcome our challenges. 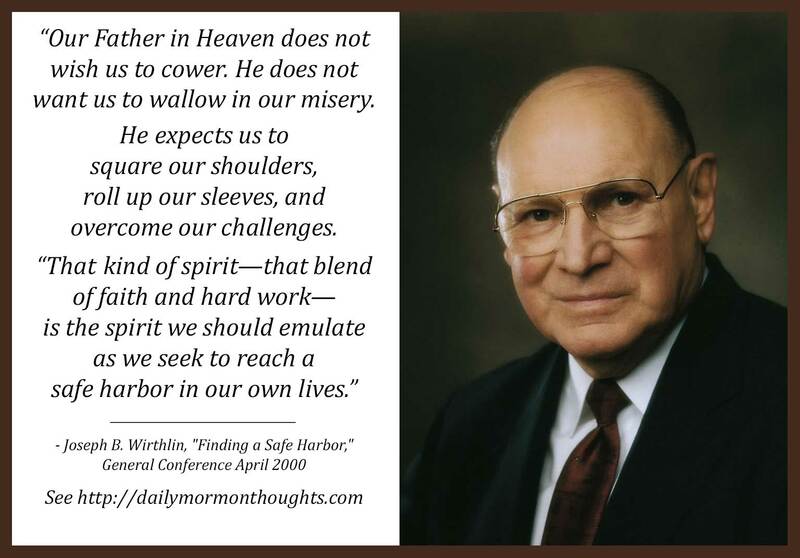 "That kind of spirit—that blend of faith and hard work—is the spirit we should emulate as we seek to reach a safe harbor in our own lives." 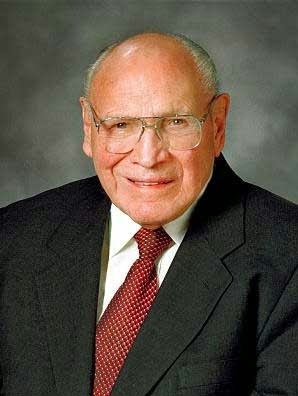 Elder Wirthlin's message is one of encouragement, reminding us that we have divine heritage and incredible potential—"immeasurable capacity." Elder Wirthlin's address focused on the concept of a "safe harbor"—a place where a ship can find security and protection to weather the storms what will come and will go. We will have challenges in our lives, but he encourages us to do more than passively wait for them to pass, or worse, to "wallow in our misery." We should actively confront the challenges and work to learn from them as we overcome them!